Since 1984 Deadline successfully migrated from standard typesetting into the Macintosh market. We were there for the many transitions of image setting from traditional typesetting to digital manipulation. We continued developing with the implementation of the first duplexing color copy device in the area, which led to full-scale digital printing and variable data print marketing. 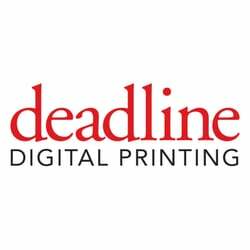 We provide high-quality short runs of color printing (brochures, magazines, posters, catalogs), variable data direct mailing, customized mailing lists, targeted messaging... and more.